Five days before Christmas last year, the downstairs area of my house flooded with groundwater. While the experience wasn’t fun, we were fortunate in that it wasn’t a budget disaster. Many of our neighbors asked us how we were we able to handle the $2,300 in costs that came with damages associated with the flood. One of the central tenets to good financial planning is preparing for the future, whatever it may bring. Therefore, an essential component of a solid financial plan is an emergency fund. An emergency fund is designed to cover a financial shortfall when an unexpected expense crops up. Your emergency fund can serve as a place to get the money you need when you find yourself short. Because it must be reliable, it needs to hold guaranteed investments. In other words, savings accounts are good for emergency funds, while stocks are bad. An emergency fund, by nature, also needs to hold liquid or otherwise short-term, accessible investments. Ideally, you won’t need to use the money in your emergency fund, and you will maintain it for the long-term. However, this creates an interesting conundrum: a long-term account holding short-term, low-interest bearing investments. Your short-term emergency fund is your go-to place when you have an immediate emergency. It should be in an accessible account, which will probably bear little interest. The most important consideration is accessibility. You’ll want a debit card attached to this account and check-writing privileges as well. The purpose of your short-term emergency fund is for smaller emergencies, such as car repairs or replacing a major appliance that has broken. It can also be used as a bridge to get you through the few days until you can access your long-term emergency funds in case of a more extreme situation. 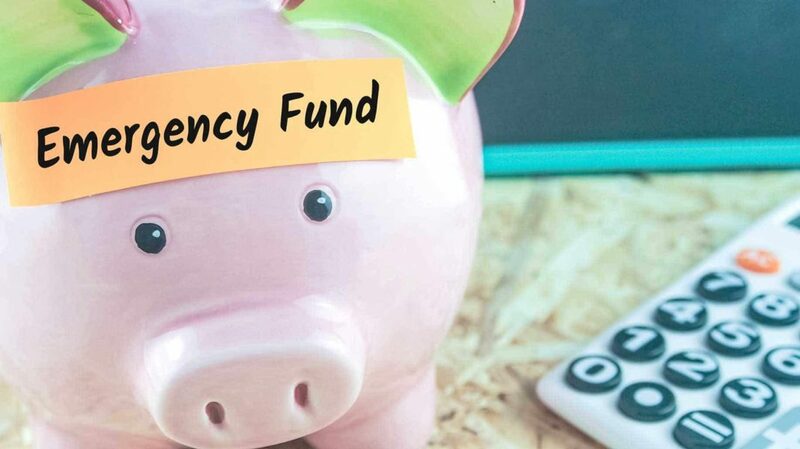 A long-term emergency fund allows you to save for large-scale emergencies, such as job loss or a major natural disaster like an earthquake or fire, and earn a slightly higher level of interest. Accessibility is still important here, but it’s okay to choose investments that take a few days to liquidate – as long as you have a short-term emergency fund to cover you in the interim. When you have an emergency fund, you have peace of mind. Your money is on guard, so to speak, just waiting to be called into action. You don’t have to scramble to come up with money you need and you don’t have to turn to credit cards. Even if your emergency fund isn’t big enough to handle everything, it can still help reduce the amount of money you must look for from friends and family, or credit cards. What Makes for an Emergency? It is important to realize that an emergency fund isn’t a slush fund for large entertainment and leisure purposes. A new big screen TV doesn’t qualify as an emergency, even if your old TV breaks down. In order to ensure that your emergency fund is there when you need it, you need to be able to identify a true emergency. A true emergency is a situation that requires some sort of immediate action, and that can affect your long-term well-being or impact the viability of an important asset (such as your home). A large deductible or co-pay on a health emergency. You can save money on taxes related to healthcare expenses and put less strain on your emergency fund if you consider using a HSA with a high deductible health plan. The need to travel or finance other arrangements as a result of a family emergency, such as a death in the family. Major unexpected car repairs. This can include paying your deductible for damages caused by a car accident or paying for a new engine. Routine car maintenance, however, should be scheduled into your monthly budget. You could even follow these DIY car maintenance tips and save money. The failure of a major appliance. If your furnace suddenly stops working or if your big freezer breaks, you may need to pay for a replacement quickly. 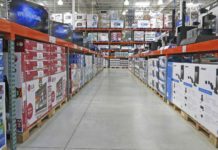 Keep in mind the best times of the year to buy large appliances. Large and unexpected home repairs or deductibles. 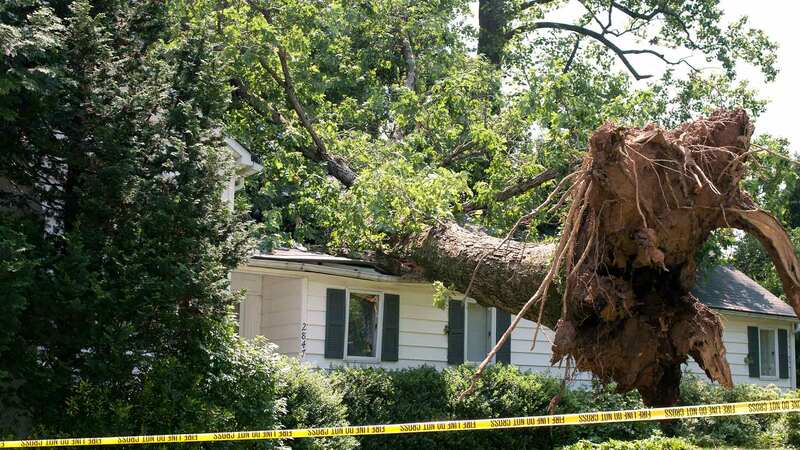 If a tree branch falls on your home, you’ll at least have a deductible to pay as part of your homeowners insurance, and further problems could arise. Home repairs are vital to address immediately since your home is often your biggest asset. Prior to the financial crisis of 2008, personal finance experts recommended that your emergency fund contain three months’ worth of expenses. Now, the new financial wisdom is to have at least six months’ worth of expenses saved up. Of course, building an emergency fund can be difficult during a trying economy. If you are trying to get out of debt, one approach is to first build up a $1,000 emergency fund, and then redirect your efforts toward eliminating your debt. Then, once you’re debt-free, continue to build your emergency fund further. To figure exact dollar amounts, you need to determine what constitutes six months’ worth of expenses. Simply add up what you spend each month in your household budget categories and multiply by six. Or you can review the past six months of expenditures if you’ve been using personal finance software (e.g. Mint.com) or a debit or credit card that tracks expenses. Make sure you include what you pay on your mortgage, utilities, car loans, insurance, groceries, and other essential expenditures. I like to include entertainment items and incidentals that crop up during the month as well. Also, account for bills or other expenses that only come due once or a few times per year. For example, I pay my auto insurance quarterly and get four new tires on my car once every year. The amount of money you put in each of your short and long-term emergency funds will depend on what you can afford and what you’re comfortable with. For my needs, I keep about $2,000 in the short-term fund, while I aim to build up six months’ worth of expenses in my long-term fund. As pointed out earlier, emergency fund investments need to be guaranteed or at least very low-risk. They also must be liquid and accessible. Unfortunately, investments often realize a rate of return that is directly proportional to how much risk they carry. This is why you’ll need to be satisfied with low-interest bearing accounts in your emergency fund. Checking, savings, and money market accounts as well as bank CDs and even physical cash are good choices. Just make sure your bank accounts or bank-guaranteed investments carry FDIC insurance. Treasury bills, notes, and bonds have traditionally been good choices for safe investments as well. But since the guarantee attached to government-issued instruments has come into question, these may be treated as a very low-risk investment option, but not ones that are necessarily guaranteed. The same holds true for other highly rated bonds and bond funds. Such investments may constitute a portion of your long-term emergency fund, depending on how comfortable you are taking on risk. This represents how quickly your assets can be converted to usable cash. A savings account, for example, is 100% liquid because it already is cash. Bonds, though, have to be sold before you can use them and you must wait for the cash settlement period to pass (one day for government issued securities, three days for all others). In some cases, cash products can also be problematic. CDs, for example, come with penalties if you withdraw money early. Understand the penalties of CDs you are considering or already own, since they can and do differ. Like bonds, CDs should constitute a portion of your long-term emergency fund. A couple of years ago, I needed immediate access to my cash, but it was in an online savings account and took three days to get. That wasn’t soon enough. Luckily, my parents had enough money in their emergency fund to tide me over until my emergency fund could be accessed. This experience is one reason I decided to create a short-term and a long-term emergency fund. My short-term account can be accessed immediately. And for bigger issues, the short-term account has enough to hold me over while I wait for my long-term funds to come through. 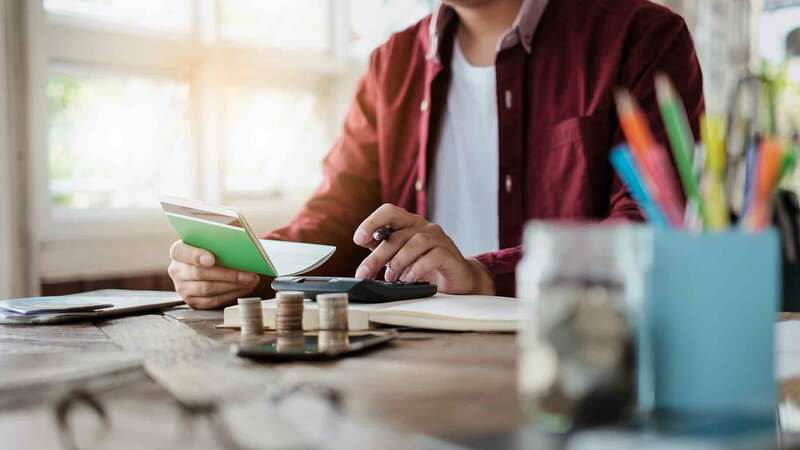 Aside from keeping cash on hand, make sure you have a debit card and ideally check-writing privileges attached to your short-term emergency fund. That way, you can access money at any time in virtually any place. Any investment you can’t access immediately – via a debit card, writing a check, or pulling money out of a safe – goes into your long-term emergency fund. I like to keep my larger, long-term emergency fund in a high-yield online savings account in order to get a slightly higher rate of return. One strategy I use is to put a portion of my long-term fund in high-quality bonds. By doing so, I can achieve a better rate of return with minimal risk and can liquidate into cash within a few days should I run into a large emergency. I keep my smaller, short-term emergency fund at a local bank. The yield isn’t as high there, but I can access my money immediately. Some people also create a CD ladder in their long-term fund. You can create a CD ladder by purchasing multiple CDs such that one expires every month, or every three months, or at any other interval of your choosing. In this way, you know when the money will become available and you will only lose the interest on one CD (as opposed to all of them) should you need to access this money. Moreover, a CD ladder allows you to access higher yields that only accompany long-term CDs. However, a CD ladder should only make up a portion of your long-term emergency fund so you can avoid any penalties associated with premature access. Lastly, consider using a credit card for an emergency if you can’t access your emergency fund in time. However, do so only if you can use credit cards and rewards wisely by paying off the full balance before the due date. One of the most discouraging aspects to building an emergency fund is the large amount of money you must contribute. For some people, a $5,000 emergency fund seems out of reach. The good news is that you don’t have to fund your emergency account all at once. You can build it up a little at a time. The most important thing is to get started and to remain consistent so that over time you can reach your emergency fund goal. Break it down. Decide how much you want in your emergency fund and figure out how much you can put in each month. Then, simply determine how long it will take to reach your target based on your monthly contribution. Breaking it down this way can make saving for your emergency fund and other goals more manageable. Use wasted money. Some estimates indicate that each household wastes at least 10% of its income each month. Look for the money leaks in your budget, such as over-ordering at restaurants or leaving the lights on. Plug them, and then use that money to build up your emergency fund. Make it automatic. Schedule regular payments from your checking account to your emergency fund, using automatic bill payment plans. You might also be able to have a portion of your paycheck diverted to your emergency fund. This way you don’t have to remember to do it yourself every month. Pad your account with dividend earnings. Dividend stocks aren’t just for income investing; you can also use them to pad your emergency fund. Build a portfolio that includes dividend stocks, and deposit those dividends in your emergency fund. This isn’t the fastest way to fund your emergency account, though, so make sure you are doing other things as well. Use spare change. Have your entire family empty the change from their pockets, perhaps including their one and five dollar bills, into a jar at the end of each day. This works especially well if you use mostly cash. At the end of each month, take the money in the jar and add it to your emergency fund. Again, use this technique to supplement or boost your emergency fund, but don’t depend on it entirely to get you to your goal. Celebrate milestones. Obviously, you don’t want to splurge big, but when you reach a milestone, reward yourself with a small treat, such as a night at the movies or a new book. Keep track of your goals and mark special achievements. Even cooking a fun celebratory dinner at home can be a good way to reward and motivate yourself to keep going. An emergency fund can mean the difference between financial failure and financial success. 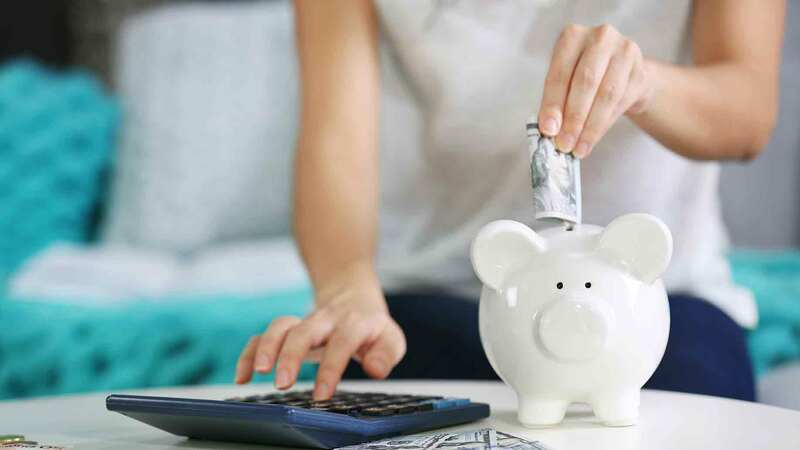 Not only must you develop discipline to accumulate one, but an emergency fund will prepare you for unexpected setbacks and reduce your dependence on borrowing money, most likely at high interest rates. Carefully examine your expenses and use the information to develop an emergency fund goal, see how much you can save each month, and identify unnecessary expenses, or wasted money. Make a plan to build up an emergency fund and decide how you want it allocated. Finally, use your emergency money wisely. Do you have an emergency fund? What strategies did you use to build it up? What circumstances have forced you to access the funds in the account?